Meet Jennifer. Jennifer is lucky. She doesn’t have menstrual cycle problems. No painful cramps. No excessive bloating. Jennifer’s flow is normal, and her energy and mood is stable. Meet Stacy. Her experience is the opposite. Almost every menstrual cycle involves painful cramps, belly bloating and either scant or excessive bleeding. Sometimes, Stacy even experiences clotting. As expected, suffering through irregular and painful periods causes Stacy to be fatigued and dispirited. Both Jennifer and Stacy regularly exercise. Jennifer is particularly fond of yoga and Tai Chi while Stacy enjoys CrossFit classes. They also both eat relatively healthy. Jennifer cooks lots of soup and stew while Stacy eats lots of salad; both Jennifer and Stacy try to avoid fast food and snacks with added sugars. Why do Jennifer and Stacy have drastically different menstrual cycles? Is it merely fate that Jennifer experiences mostly problem-free menstruation? Is Stacy the victim of bad menstrual luck? Without doubt, constitution (for example, if you run hot or cold) does play some part. But regardless of your constitution, there are things you can do to improve your menstrual cycle and be more like Jennifer. 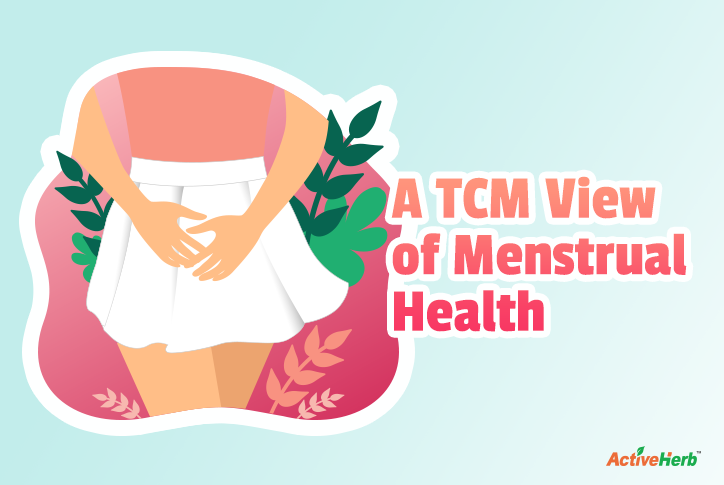 What Does Chinese Medicine Say About Menstrual Cycle Problems? Painful cramps might be a common experience for many women. But that doesn’t mean it’s normal. Same goes for headaches. Whether related to menstruation or not, millions of people get headaches, but headaches are not normal. When there is perfect Yin-Yang harmony (or ‘homeostasis’ in western medicine), there is an absence of symptoms. However, because of lifestyle choices and stress (financial, work, environmental, emotional, physical), many women lack Yin-Yang balance. The monthly cycle should always be painless. A healthy cycle is also accompanied by a healthy, rich flow of blood, without any clots. Stress management is vital for every person’s health. And for women like Stacy, it’s even more important. That’s because according to Chinese medicine theory, stress and its associated negative emotions such as anger and irritability causes Liver depression. The Liver is the Chinese medicine organ that’s strongly influenced during the monthly cycle. In fact, the physiological function of the uterus is quite affected by the Liver. This is because Liver controls energy and smooth blood flow. It also stores blood. But stress of any kind can cause Qi stagnation. When Qi stagnates, vital energy is impeded and can’t reach other organs and tissues. And not only is energy negatively impacted, so is blood flow. That’s because Qi moves Blood. For some women, a simple change of diet may greatly improve the monthly cycle. In the west, salads are considered very healthy. With the ever-increasing popularity of vegetarian and vegan diets, more people are consuming raw vegetables. Thus, try to avoid eating lots of raw veggies in the couple days leading up to menstruation and at least the first couple days of menstruation. It’s also important to relax during this time. One reason Jennifer may not have problem cycles is because she engages in renewing activities such as Tai Chi. Stacy on the other hand prefers much more strenuous exercise, which is stressful to the body; the body does not distinguish between types of stress … stress is stress. In addition to diet and stress management, Chinese herbs can also help improve the cycle. In fact, research studies offer evidence that traditional Chinese medicine is effective (see references below). For painful menstrual cramps, MensesEase may help. As mentioned, Qi stagnation can cause pain. MensesEase regulates Qi, thereby resolving Blood stagnation. But that’s not all this time-tested formula does. To ease menstrual cramps, the issue of “cold accumulation” in the lower abdomen must be resolved. Some of the 15 herbs in this formula warm the abdomen and disperse cold. If during your cycle you experience fatigue, weakness, sweating, or difficulty breathing, our formula, LadiesTonic may help. Based on a centuries-old traditional Chinese medicine that was once accessible only by the rich and famous of ancient China, LadiesTonic builds Qi, which in turn, nourishes the Blood. Some Chinese medicine formulas have a few herbs. But LadiesTonic is one of the most complex—it contains 20 different herbs. It’s a tonic for the Liver, Spleen and Kidney organs (the latter of which also contains meridians that are located in the pelvis). As mentioned, constitutional type may have a part to play in experiencing problem periods. If you’re the type that runs cold, you may benefit from WarmMenses. This formula also contains lots of unique herbal ingredients (18). WarmMenses may be especially beneficial if you have cold sensation and discomfort in the lower abdomen; mild bleeding in the uterus; painful menstruation; bleeding or spotting between cycles; and low-grade fever; dry mouth and lips, and dry palms that easily crack. Other areas of the skin may also be dry and rough. If you suffer from both pain and distention, another formula we carry may help. It’s called Abdo StasisClear. –Anonymous customer leaving 5-star review. And to help manage stress and prevent premenstrual tension, which to reiterate, is very important in not having problem periods, our formula EaseTonic or EaseTonic Plus may help.